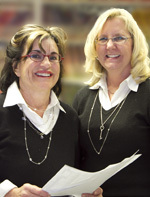 Our practice has been serving the Normandy Park and Burien communities for over 45 years. Dr. Sidney Calvo opened our doors in 1964 and has passed his legacy of expert, careful, and innovative dental arts on to his daughter, Dr. Toni Calvo Waldbaum. With a team of amazing dental professionals, we continue to provide a full range of services to take care of our extended family, which includes you. Dr. Toni Waldbaum’s passion for dentistry started as a young girl watching her father, Sidney, start the family practice in Burien. With her mother as the office manager, Toni witnessed the importance of family working together to support and care for each other. When she graduated from the University of Washington Dental School, Toni joined the family practice and has been a dentist for over 25 years. She continues the family business in the tradition of compassionate, gentle dentistry and her practice thrives from her ability to ease patients’ anxiety. Continually learning new skills and always working towards the best care with the latest materials, instruments, and techniques, combined with knowledge gained from years of experience is what Dr. Waldbaum’s practice is built upon. Patients travel from all over the city, including some from out of state, in order to continue their care with Dr. Waldbaum. She is deeply connected to the community, growing up in Burien from elementary through Highline High School, and she considers her patients an extension of her family. Toni met her husband, Ron, while attending the University of Washington, where her son, Solomon, and daughter, Shayna, also studied. Gabriel, her youngest son, wants to break this mold and find his own alma mater. Dr. Waldbaum is committed to continually learning new ways to provide excellent oral health to her patients in the most delicate style possible. 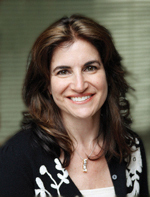 Dr. Toni Waldbaum is a member of the ADA (American Dental Association), and the Seattle-King County Dental Society. Dr. Sidney Calvo started this practice in Burien after graduation from the University of Washington Dental School in 1964. 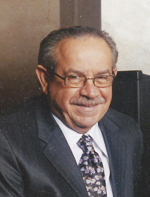 His commitment to his patients and love of dentistry was carried over throughout his career. With his wife Barbara they raised three children and made a lifelong commitment to his staff and patients. Dr. Sidney Calvo had a wonderful way of taking care of his patients with a gentle touch while maintaining a high quality of dental work. Tutoring of his children to take care of his patients in this caring way is his legacy. Dr. Calvo is survived by his wife Barbara (Office Manager) and children, Dr. Toni Waldbaum, Dr. Richard Calvo, and Shaya Calvo.